“Necessity Is the Mother of Invention.” What can you say about that? Is fiber optics enough to meet our internet necessities? Each of us has our different roles in society. These roles are vital for the improvement of our nation. Also in computer networking, fiber optics played its noteworthy role in our ever-increasing desires. But what is it? Why is it important? Behold, and let us show you the role of fiber optics in computer networking. A high-security system for transmitting confidential government data, personal, monetary and medical data, is needed and reliability for the security of information all-inclusive is accomplished by fiber-optic communication. It gives the most secure mode to transport signals from one place to another. Here are some field of networking that fiber-optic technology played a great role. Privacy and protection is an imperative in a company and in personal issues. Today every privacy flaws and issue are considered as life-threatening in every kind of business. As a result, numerous antivirus software, anti-malware, and firewalls have been deployed in addressing the issues. Fiber-optics used the modern cryptography where a quantum key is used to transmitting multiple data streams simultaneously in different colors of light. Through this approach, data leakage becomes lower. The Fiber-optic internet is the fastest and more reliable current internet invention available. Numerous internet providers hit their economic peak through the increasing demand of companies and individuals wanting to utilize this such great technology. Summing up, fiber-optic is undeniably strengthening the world’s internet economics. Through its amazing connection speed and reliability, you can build and work for a better and effective connection among with your clients. As a result of this is an elevation of your business’ integrity and client trust, the two important core values in your organization. Cables are lighter, useful in aircraft. 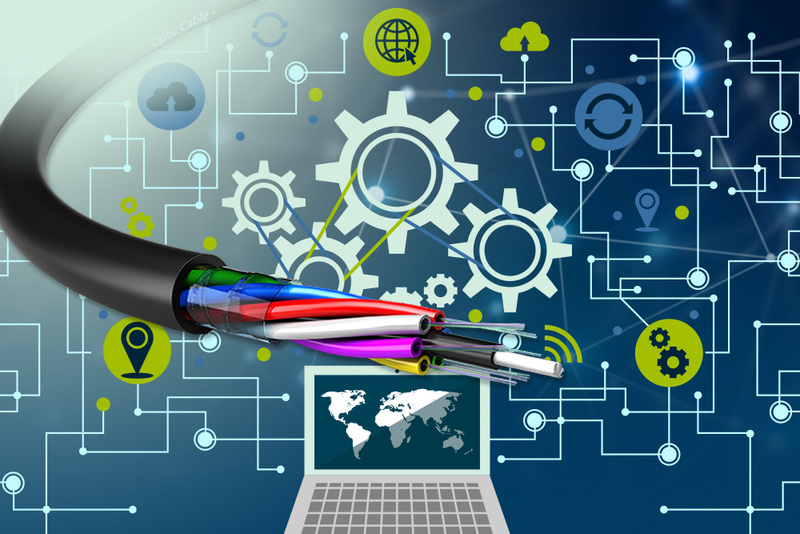 The Fiber-optic communication market is extending as proven by the development in sellers’ incomes and edges. Additionally, organizations are spending to increase producing capacity and the standpoint for development is great. To sustain our technology-focused culture, the ability to utilize, maintain, install, and design this kind of technology became essential. The FOA, the nonprofit professional society of fiber optics, is on the run in producing more Certified Fiber Optic Technician and Certified Fiber Optic Trainer. These ensure that the person who passed the certification is equipped with high-level knowledge and ability in the field. Looking for competent fiber optic personnel? We have it all here in Nexus-net.